Mario Draghi and Mark Carney know how to make an entrance, and leave pretty big shoes to fill in when they exit their European banking offices. Frankfurt/London: Mario Draghi and Mark Carney, soon to give up their posts, will cast a long shadow over central banking for many years to come. Draghi, who leaves the European Central Bank in October, gets credit for almost single-handedly restoring confidence in the euro in the sovereign debt crisis. 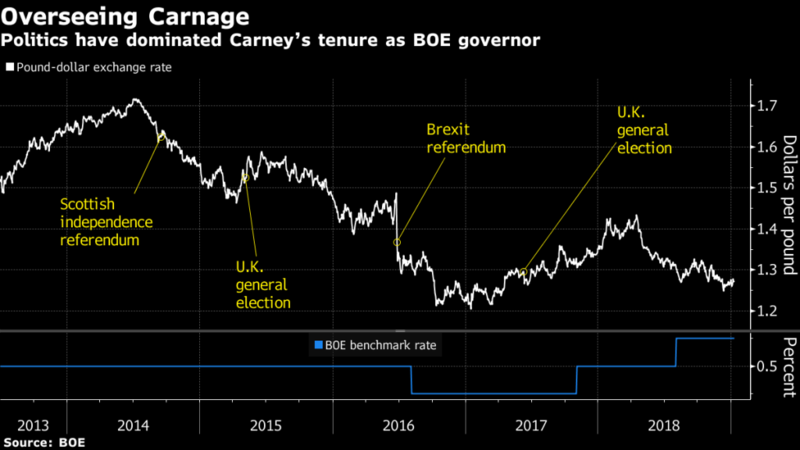 Carney, the first foreign-born governor of the Bank of England, was left to reassure Britons in the power vacuum that emerged after they voted to leave the European Union. The two face similar challenges in their final months in office. Efforts to escape the emergency stimulus measures put in place in the financial crisis are running into particularly uncertain outlooks – Carney warns of “the fog of Brexit” and Draghi has to cope with a politically induced slowdown. “The responsibilities of the ECB and the BOE are likely to remain quite challenging going forward — I don’t think these jobs are going to be by any means less demanding in the future,” said Federal Reserve Governor Lael Brainard in an interview. She praised Draghi and Carney’s acumen in navigating the crisis, building support for their policies and making their organizations more accountable. The big question now is who will fill their shoes. The U.K. says it will look at candidates both at home and abroad, though it’s unclear who might be in mind. 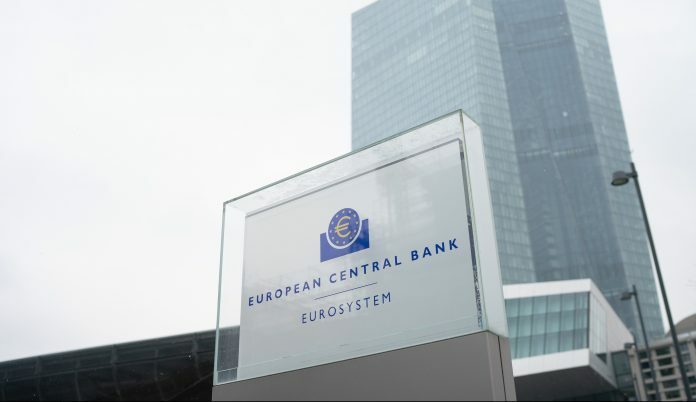 The ECB president will be decided in horse-trading among European nations, with two Frenchmen, two Finns and a German among the potential contenders. 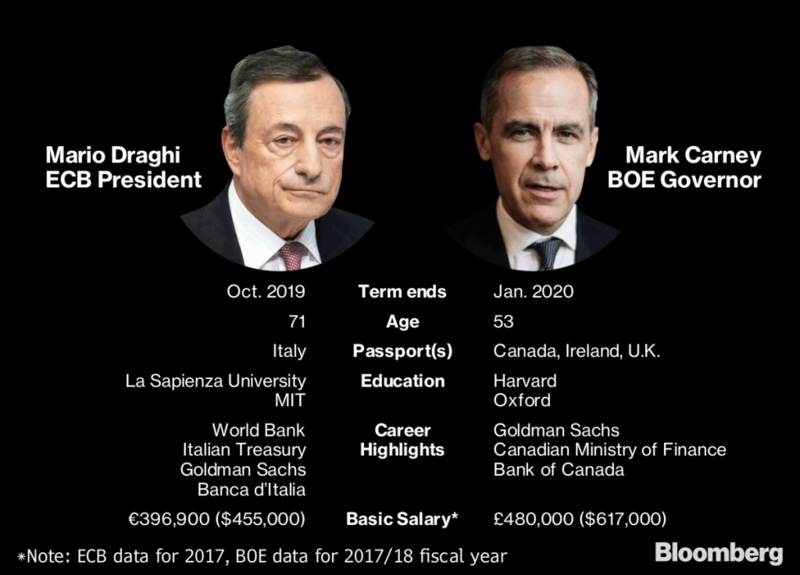 Carney and Draghi both started in academia, built their resumes at Goldman Sachs and finance ministries, and eventually rose to the top of the central banks in Canada and Italy – before going further still. Each has chaired the Financial Stability Board, set up after the crisis to aid international banking regulation. They both know how to make an entrance. Within six weeks of starting his job in Frankfurt’s Eurotower in November 2011, Draghi reversed two interest-rate increases engineered by Jean-Claude Trichet – very much like Carney, who slashed borrowing costs some four and a half weeks into his term. At the Bank of Canada he popularized forward guidance, a tool central banks adopted widely after they had exhausting interest rates and asset purchases. Language is also Draghi’s legacy. “Whatever it takes.” Three words that put a stop to speculation against the euro in 2012. The pledge caught most of his ECB peers by surprise because no plan was in place to underpin its credibility. Both men drew praise for their responses to crisis, and Carney’s role in preventing a recession in Canada earned him the move to Britain in July 2013. As Draghi defended his bond purchase program against governments, academia and the public, the Canadian was in charge of expanding the BOE’s role in financial stability. He upped its staff considerably, while also navigating the Scottish and EU referendums and two general elections. Throughout their terms, they’ve wandered in and out of the political fray. Draghi has been actively involved in shaping Europe’s response in the worst moments of the crisis. But when Greece threatened to crash out of the euro 2015, he stayed in the background, stretching the rules of his own institution to keep money flowing to ensure it was governments’ decision whether or not to pull the plug. For his part, Carney faced repeated criticism for his role in the debate on the EU referendum, warning before the vote that a disruptive exit could spark a recession. “It would be a good thing if the next Governor wasn’t put in a position where they were drawn into politics as much,” said David Miles, a former BOE policy maker. Both chiefs forced their colleagues’ hands by making announcements without consulting them. 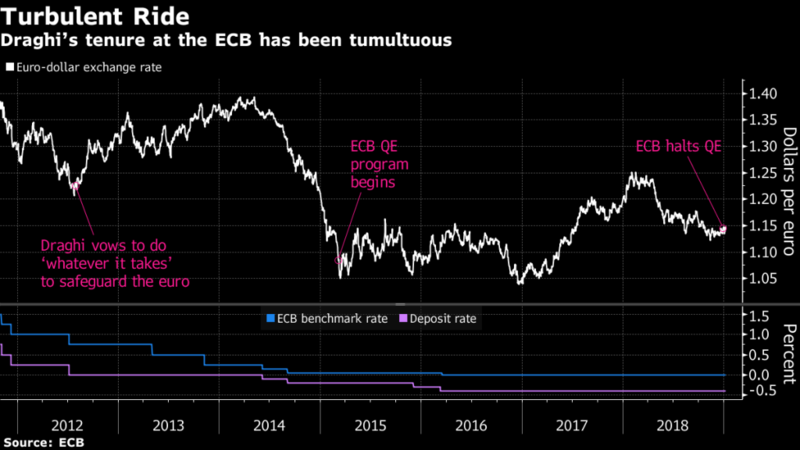 The ECB’s quantitative-easing program came about after Draghi made public comments that left no room for alternatives. Just after the 2016 referendum, Carney hinted at a loosening in monetary policy before meeting the rest of the committee. Two months later, policy makers unanimously voted to cut interest rates. With Brexit, the BOE’s star may now be waning while the ECB will be growing as new countries join.